A common source of frustration for gardeners is the inability to enjoy their time outdoors due to allergies. 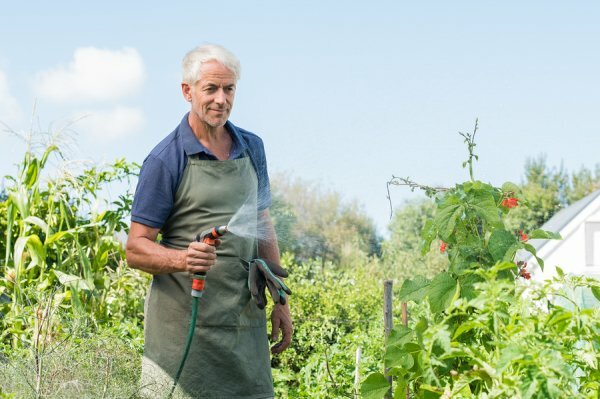 Besides speaking with an allergist and seeking allergy treatment, there are several steps that you can take to make your time in the garden more pleasant. Your local climate can have a significant impact on your outdoor allergy symptoms. On days that are warm, windy, and dry, you’re more likely to be affected by dust and pollen. When it comes to working in your garden, it’s best to take advantage of rainy days by heading outside a few hours after a storm or the following day. Wearing the right gear can help you manage your outdoor allergy symptoms. Weather permitting, choose clothing that covers your arms and legs to prevent additional contact with allergens that may cause skin reactions. Also, wear sunglasses and avoid touching your face to help keep pollen out of your eyes. If you’re looking for ways to better enjoy your time in the yard, then consider planting an allergy-friendly garden. Certain plant and flower species are less aggravating to people than others. Examples of flowers that can be a good choice for allergy sufferers include iris, hibiscus, tulip, snapdragon, geranium, dahlia, and daisy. There are also plants that you should consider eliminating from your garden. Some trees that frequently cause allergy symptoms include cottonwood, oak, cedar, ash, and maple. Additionally, certain grasses, such as rye, Johnson, and Timothy, are highly allergenic and should be avoided. Take advantage of allergy testing. Knowing precisely what you’re allergic to is the best way to make your time outside more enjoyable. When you know what trees, flowers, and grasses are triggering your symptoms, you’ll be able to take steps to remove or otherwise manage your allergy triggers. If you’re tired of suffering from your symptoms, then call Allergy & Asthma Specialists℠ at 1(800)86-COUGH. Our allergy doctors offer allergy testing serving Philadelphia, Blue Bell, King of Prussia, Jenkintown, Doylestown, Lansdale, Pottstown, and Collegeville, Pennsylvania.